EyeSeeYou is an interactive installation for Halloween 2011, a collaboration with Jennifer Lim. 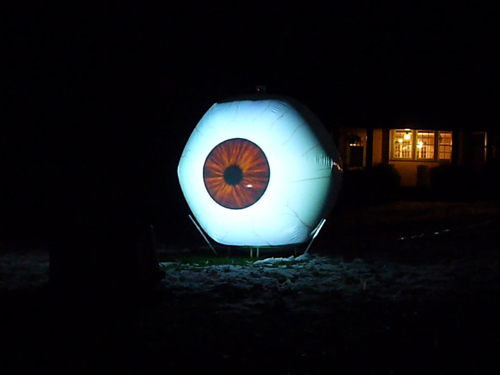 There is a giant human eyeball on our front lawn! And it's alive! As you approach, the eye will track you and respond to your movement. "Time to turn in. I peer out at the whipping wind, the landscape changed by the downed tree branches everywhere. Wait. Our 6-foot orb, AKA the human eye, AKA our Halloween installation, is missing. Rob and I go tearing out the door, braving the slush underfoot and overhead. 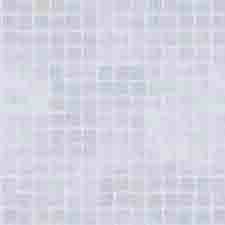 We find it down the hill, a quarter mile away, in a wet and cold dance with the night storm. So, we are players in an unseen enactment of Sisyphus as we roll our gigantic ball back up the hill."